Hey guys, today I’m going to talk about a topic that most men avoid and that’s erectile dysfunction, and more specifically snoring, as it relates to erectile dysfunction (ED). If you have noticed that snoring is keeping your wife up while your external organ remains down, you might want to listen up as I have some important information that will have you back between the sheets. Let’s cut to the chase and answer the question: Does snoring cause erectile dysfunction? Snoring itself is a primary symptom of Obstructive Sleep Apnea and according to several recent studies such as the one conducted at Mount Sinai Medical Center in New York, there is a strong correlation between OSA and ED. The Mount Sinai study determined that men who had ED were twice as likely to have OSA. It was then suggested that those with ED should be screened for OSA, as sleep apnea may be the cause of their ED. Several other studies suggest that 40%-75% of men with sleep apnea also suffer from ED. One study conducted in 2009 concluded that 70% of male subjects who were suspected of having sleep apnea were also experiencing issues with erectile dysfunction. There’s certainly no shortage of research linking ED to OSA. In western medicine, physicians often prescribe medications such as Cialis, Viagra or Levitra to treat ED without examining the possible link to OSA. While such drugs treat the symptom, they don’t necessarily address the cause of the problem. In addition, prescription drugs often come with side effects which are not always immediately apparent. Before asking your doctor for a script, you may want to dig a little deeper and search for the root cause. There are a number of other conditions that could cause ED, so it’s important to have a discussion with your doctor to explore the possibilities. Why Does Snoring & Sleep Apnea Cause ED? Snoring is often associated with sleep apnea, a condition in which the airway becomes restricted during sleep and the person experiences momentary pauses in breathing. Such pauses in breathing can wreak havoc on your body and cardiovascular system causing high blood pressure, heart disease, daytime tiredness, type 2 diabetes, and several other potentially dangerous health conditions. Scientists are not exactly sure why men with OSA are at a higher risk of developing ED although there are a few theories as to why this is the case. It’s well known that sleep apnea puts a strain on your cardiovascular system as well as other parts of the body. Considering that a substantial amount of blood is required to achieve an erection, it makes perfect sense why a poorly functioning cardiovascular system will cause erectile dysfunction. In addition, blood oxygen levels play an important role in achieving a healthy erection. With OSA, blood oxygen levels tend to drop since you are not breathing during multiple apnea events. Another theory is that male testosterone is produced during sleep. Those with OSA never achieve restful sleep as their body constantly awakens them throughout the night to catch their breath. This awakening happens several times per hour without the person ever recalling waking up. The result is the person will wake up tired and experience daytime sleepiness despite the how many hours of sleep they got the night before. The issue with daytime tiredness can further compound libido as men will be more fatigued and irritable and may not be interested in sexual activity. 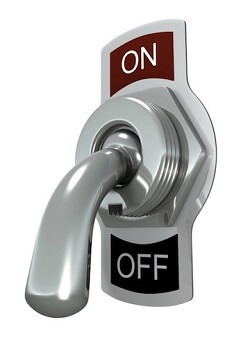 How Can I Treat Erectile Dysfunction Caused by OSA? If you snore loudly, often gasp for air at night or constantly wake up tired in the morning, you may want to consider asking your doctor if sleep apnea is a possibility. OSA is a very common problem, especially in the United States. It affects an estimated 22 million people. Unfortunately, the majority of cases are not diagnosed. Your doctor may ask you to visit a sleep clinic where a sleep technician will perform a polysomnography, also known as a sleep study, which will determine whether or not OSA is present. If OSA is detected, there are several treatment options that your doctor may suggest which should get you back to a restful night of sleep. Continuous Positive Airway Pressure or CPAP therapy has been the gold standard treatment option for Obstructive Sleep Apnea for many years now. 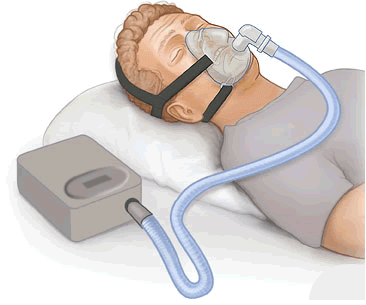 The patient wears a face mask at night which is attached to a CPAP machine. The machine delivers a constant flow of air throughout the night which keeps an obstructed airway open. This method of treatment is highly effective and is prescribed by most physicians today. Perhaps the most common cause of OSA is obesity. In September 2013, The American College of Physicians issued new guidelines for the treatment of OSA which recommended weight loss as well as CPAP use. Because most cases of OSA are caused by excessive body fat, especially around the neck area, losing weight may eliminate sleep apnea as well as cure erectile dysfunction. A loss of as little as 10% of your body weight can greatly reduce or eliminate symptoms of OSA. Oral Appliances such as the MAD or TSD are highly effective in treating mild to moderate sleep apnea. They are designed to fit inside of the mouth and hold the jaw in the forward position which helps to keep the airway open and allows air to flow freely. Oral appliances are professionally fitted by a physician, although appliances that are referred to as snoring mouthpieces can be purchased directly online and fitted at home. If you decided to use an oral appliance from the internet, be sure to follow the directions and use it only as intended. Surgical Procedures to treat OSA are typically only used as a last resort in the treatment of sleep apnea. Tonsillectomy, Somnoplasty, Uvulopalatopharyngoplasty and the Pillar Procedure are a few of the more common procedures. Surgery should only be considered if all other options have been exhausted. While snoring itself doesn’t typically cause erectile dysfunction, it’s often a symptom OSA which has been proven to cause ED. If after visiting your doctor, he or she determines that your snoring is in fact sleep apnea, consider speaking with them about the possibility of a link between the two. Remember, in many cases, treating OSA will restore your ability to achieve an erection. There are several methods that can be used to treat OSA so your options are not limited. By getting to the root of the problem and treating OSA, you can avoid potentially harmful prescription drugs while restoring your ability to get an erection. Plus, treating OSA will prevent a number of other potentially fatal health problems.